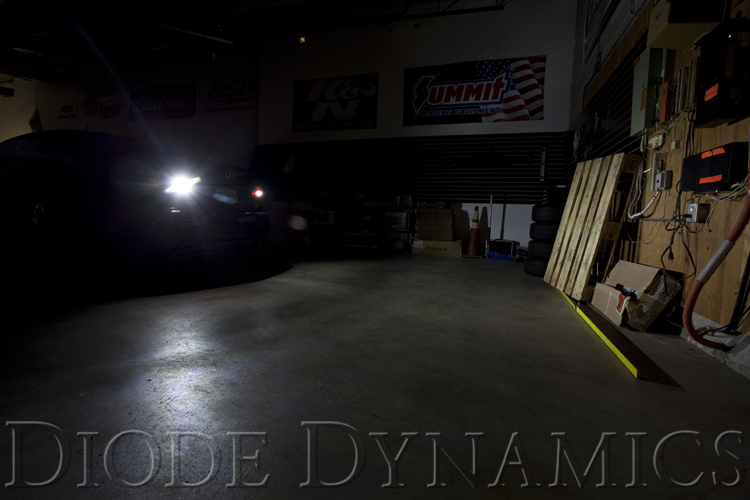 At Diode Dynamics, we carry a full line of LED bulbs, including three different levels of brightness for your reverse light or backup light bulb. We carry the brightest, highest-quality bulbs on the market, which we have designed in St. Louis, Missouri. Your order will ship same day, and we're here if you need us for support and service. Every bulb carries with it a three-year limited warranty. Your purchase includes two LED bulbs, for perfect fitment in your Lexus IS Model Year Selection. HP5: Four high-power SMDs, under a diffusing lens. Just like the HP3, but run at higher power, with integrated copper plating for superior heat dissipation, allowing maximum brightness. HP5: (92 lumens) Slightly lower brightness than OEM bulbs, but still provides the crisp, modern instant on/off of LED technology. HP36: (210 lumens) Slightly higher brightness than OEM bulbs. Lumens. BUYER BEWARE! Most sellers just provide "calculated" lumen numbers, based on the maximum potential brightness of the LED chips on the bulb. For example, if a bulb has five 10-lumen chips, they will rate it at 50 lumens. However, this is not accurate, as the design of an LED bulb does not get rid of heat fast enough to run the LEDs at maximum. These "calculated" lumen ratings are much, much higher than the true, measured light output, so it will look like competitors' bulbs are brighter than ours. This is because Diode Dynamics does not provide inflated "calculated" numbers; we believe it is misleading. We test the actual brightness of the bulbs in our lab, to provide real lumen output measurements. Our measurements are accurate, but they are usually much lower than the misleading "calculated" figures. Last edited by Diode Dynamics; 10-28-2015 at 03:28 PM. Would you please pm me a quote for these shipped to 95687? Do you guys handle custom headlight retrofits? Last edited by Diode Dynamics; 11-11-2016 at 11:35 AM. 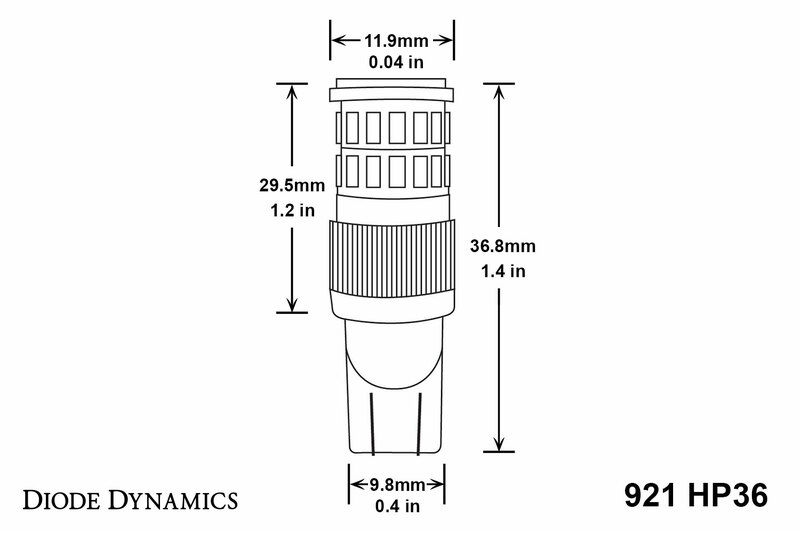 Bulb dimensions are being added to our listings to help customers confirm fitment for unique applications.